I'm in Florida! Me and Frank are on a little getaway this week. We've been enjoying some incredible weather, which has meant dinner outside at night and plenty of lazy reading in the sunshine. It's been great, and has me completely craving summer again. One of my favorite things about summer is whipping up simple drinks with fresh fruit, but since there's not very many fresh things up in Jersey I've been snacking on all the peaches I canned this summer (thanks me!). 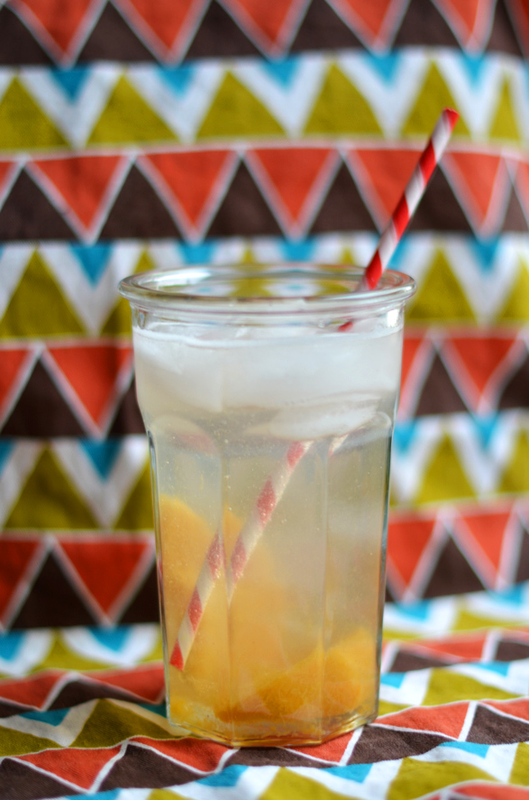 I usually just slurp up the tasty peach juice that's left over, but I got an idea for a simple drink to make with it. 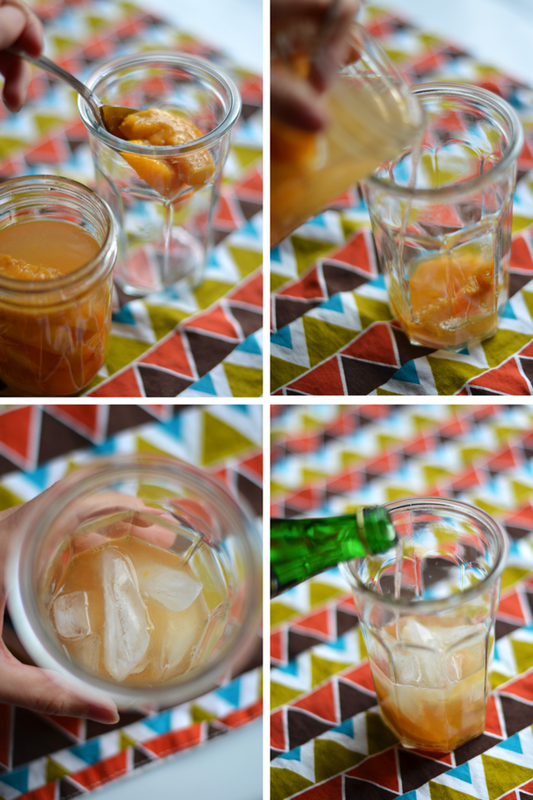 Add 2-3 peach slices to the bottom of a glass and add ice. Add drained peach juice until about 1/3 full, and schnapps (if using). Fill to the top with Pelligrino & enjoy! Personally, I don't drink much, so I really love sticking with just the juice and pelligrino as a simple afternoon treat (also, it would be a great alternative to try if your New Years resolution was to kick a soda habbit - the sweetness and carbonation is great!). But this could be an easy and tasty little drink to have with friends too!